Feminine basic stretch top, light beige, made of a premium-quality, ribbed silk and cotton blend. 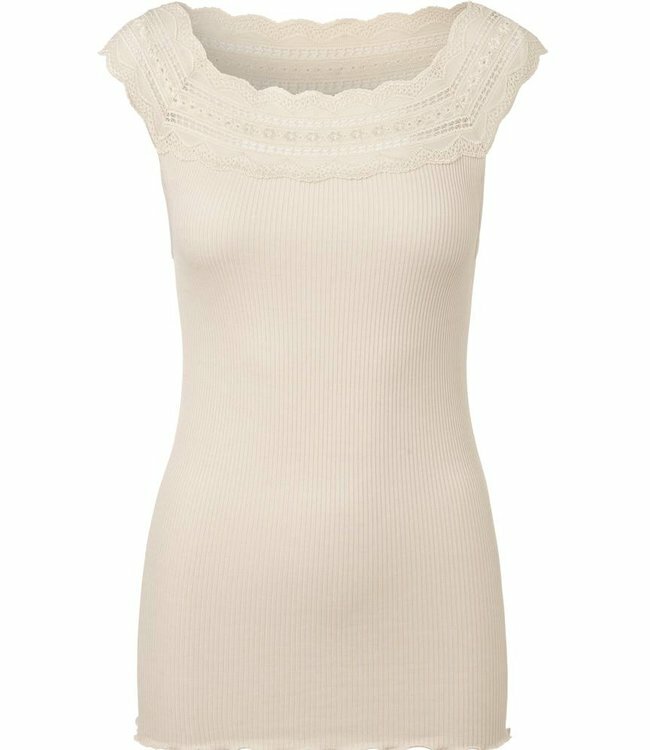 The neckline features a wide, soft and exquisitely beautiful lace trim. The top is approx. 68 cm long.